Most parents assume they would never accidentally forget their baby or child in a car. 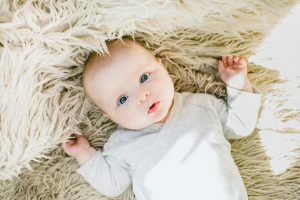 Unfortunately, even the most loving parents have experienced near misses or even painful tragedies due to Forgotten Baby Syndrome (FBS) – a medical term that explains how a parent can walk away from a car without realizing their child remains inside. The stories are heartbreaking and they can happen to anyone at any time. There are a few contributing factors of which parents should be aware. them. Have you ever driven home from work and realized you have no recollection of the drive at all? It’s because that routine is now governed by a part in your brain called the motor cortex. Your motor memory is in charge, and therefore, allows you to think of other things while you drive – your dinner plans, grocery list, etc. The problem is when a change in your routine is thrown at you, like having to pick up your child at daycare when your husband is sick, your motor memory isn’t in control. When this happens, you might drive home and go inside as usual, completely forgetting your child is in the backseat. Written by: Michael Braunold, CEO Elepho, Inc.